"A veteran jazz and classical bassist, Bren Plummer heads a trio with fellow Seattleites John Hansen, piano, and Reade Whitwell, drums. He applies his incisive bowing technique in Duke Ellington’s and Billy Strayhorn’s “The Star-Crossed Lovers” and—in one chorus of pure melody supported by a filagree of Whitwell’s cymbal strokes—in the impressionistic title tune composed by drummer Joe Chambers for a 1968 Bobby Hutcherson recording. The trio is full of vigor on Lee Morgan’s “Boy, What a Night,” energizes the 1942 Tommy Dorsey-Frank Sinatra hit “In the Blue of Evening” and plays Miles Davis’s “Take Off” in the neo-bop spirit of the original Blue Note recording. Plummer and company bring dynamism even to ballads customarily played slow, including Matt Dennis’s “The Night We Called it a Day,” Mitchell Parish’s “Stars Fell on Alabama” and Bill Evans’s “Turn Out the Stars.” Arco or pizzicato, Plummer solos impressively throughout. Hansen invests everything he plays with a light touch and harmonic depth. The track titles suggest a preoccupation with night, but there is little danger that a listener will fall asleep while Nocturnal is playing." "Nocturnal may be bassist Bren Plummer’s debut album, but he is a veteran player with a long résumé of varied experience. Plummer keeps a busy schedule of appearances with local symphonies, plus a plethora of jazz gigs, and sports a fat, woody tone, with a deep sound and calm authority to his playing, as well as considerable bowing skills. He is well-deserving of wider recognition. Nocturnal may not be bleeding-edge innovation and features no originals, but is nevertheless a deeply satisfying classic piano trio operating at an extremely high level. The trio of Plummer alongside drummer Reade Whitwell and pianist John Hansen displays a commanding blend of nuanced flexibility and control, evoking the telepathic group interplay and melodic freedom of the great Bill Evans groups. Credit Plummer for an interesting mix of somewhat under-played standards, bundled into a thematically cohesive and complete program, in which the highlights are many. Of note is the title tune, driven by a probing arco melody on the bass, moody piano arpeggios, and textural interjections from Whitwell. The track is a standout as well as an outlier on the album, as it gives a glimpse into the possibilities of combining Plummer’s classical background with his obvious feeling for jazz. The album closes with a finely-wrought take on “The Night We Called it a Day,” featuring a superb solo turn from Hansen (again evoking the presence of Evans), stunningly light and sensitive ballad work (on sticks rather than the usual brushes) from Whitwell, and a beautifully melodic solo from Plummer. It’s the perfect closer to a late night of moody jazz." In 2016, bassist Bren Plummer dropped an excellent album, Nocturnal, a deeply assured debut exploring the modern piano trio format through a discerning selection of thoughtfully sourced standards. This year, he returns with a completely different approach: an all-original set of adventurous, deep-swinging post-bop with a touch of Blue Note flavor, brought to life by a nimble, top-shelf sextet. Despite the emphasis on composition and counterpoint, allowing Plummer to explore beyond the typical 32-bar head-solo-head structure, the excellent tunes aren’t fussy or overdone. The variety of textures and approaches provide fertile and rewarding conditions for solos and dynamic group interplay. Highlights include “Yellow 5, Yellow 6,” which features a suite-like structure, and shifts melodic shapes through dreamy wandering ballad sections, burning up-tempo swing and half-time shuffle feels. Another standout track is “Cockroach,” where dark, wide intervals, powered by a fat and funky syncopated bass line and driven home by D’Vonne Lewis’ authoritative backbeat, are interspersed with controlled bursts of free improvisation. “Cockroach” hints intriguingly at some more progressive and modern directions Plummer might take his music in the future. Plummer claims to have conceived and mapped out a four-album arc of varied projects. We’re at the halfway point, and it’s becoming clear that whatever he has planned, paying attention to Plummer’s music will be time well-spent. 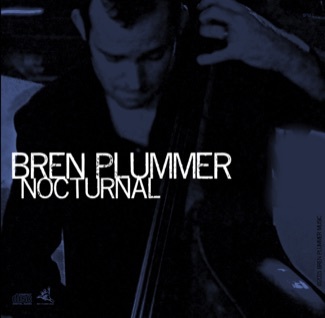 Bassist/Composer Bren Plummer has been walking that fine line between classical music and modern jazz since he first introduced himself to the jazz world via piano trio with his debut recording, Nocturnal (Bren Plummer Music, 2015). His musical energies have been directed into two respected orchestras in Washington state, the Yakima Symphony, and Symphony Tacoma. His forward thinking vision is a sort of musical crossroads between the two musical forms. 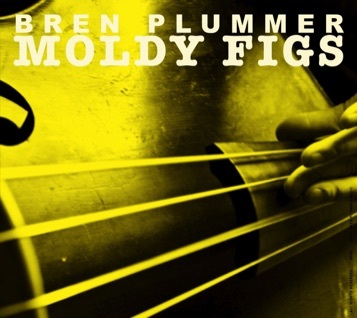 For his follow up recording Moldy Figs, Plummer has convened some of the top jazz musicians in Seattle, to perform eight original compositions that reflect the dual properties of his collective musical sensibilities. The task of composing music that challenges and accentuates the finer qualities of his stellar supporting cast is a difficult one indeed. Having players such as trumpeter Thomas Marriott, drummer D’Vonne Lewis, and vibraphonist Susan Pascal certainly tilt the odds and results in some inspired work. Marriott himself has ten releases on the respected Origin Records label. Plummer has shown himself to be a fine musician, with a deep, thick tonality that is original and engaging. For this recording, he puts himself in the center of a complex rhythmic triad with Pascal and guitarist Frank Seeberger, the foundational tether for the winding, angular passages of these eight compositions. The opener, "Sycophantic Chanteuse," reveals a primer as to the intentions and results for the eclectic bassist and composer. Featuring a jagged, sharp edged, bop induced melody line, this musical adventure is driven by fine solos by trumpeter Marriott and saxophonist MacDonald. Both play with great invention throughout the session, and along with the work of drummer Lewis, provide the best invitation to give this record an honest listen. While sophisticated in terms of composition, Plummer's work here is not as emotionally engaging as I would expect from a gathering of talent of this caliber. It is difficult to know what the leader directly had in mind here, what expectations he envisioned for each musician individually and collectively as a group. "Yellow 5 Yellow 6" runs into the same dilemma. The melody is complex, interlaced with abrupt, extreme changes of tempo. Pascal delivers a beautifully transforming solo on vibraphone, truly the dynamic moment of this piece. "Hard Time" is a hard bop, straight on groove that perhaps best facilitates the musical conversation of this session. Plummer delivers a scintillating solo that leads into insightfully inspired passages by Marriott and MacDonald, who provide some of the finer improvisational moments of this recording. Lewis' Max Roach-like boplicity drives the band down an avenue that needed to be explored more often on this record. While Plummers' last recording of jazz standards recognized and accentuated the instinctive talents of pianist John Hansen and drummer Reade Whitwell, the effort to demonstrate his extensive compositional prowess may have curtailed some of the creative spontaneity available in large doses from this immensely talented cast. When Plummer attains his creative sense of balance between written and improvised usage, something special is bound to inevitably happen. My guess is that it will in the near future.